Spring & Autumn are the 2 seasons of the year where it is not too hot, not too cold but just warm enough for a delicious smoothie. 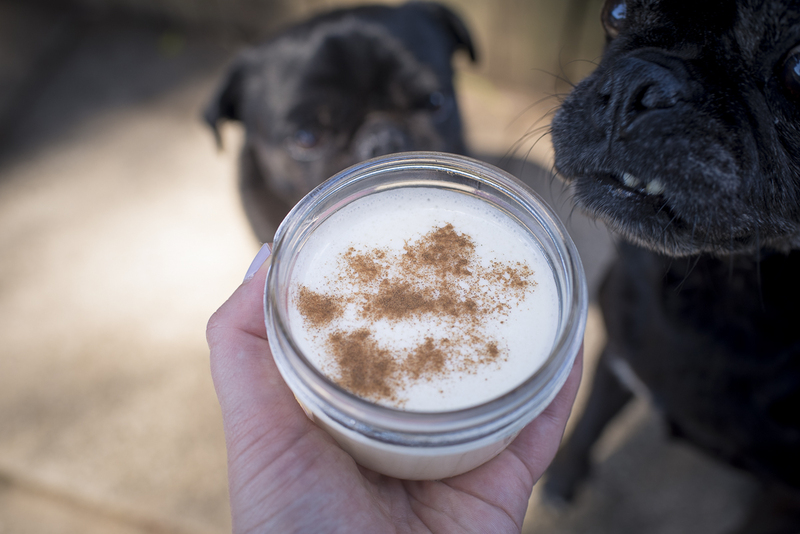 So what better time than to whip up a batch of our Pina Colada Smoothie for you and your pug to share. The perfect refreshing dog treat recipe that is quick and easy to make, filled with delicious goodness and will make you feel like you are on holiday on a tropical island with your pug. 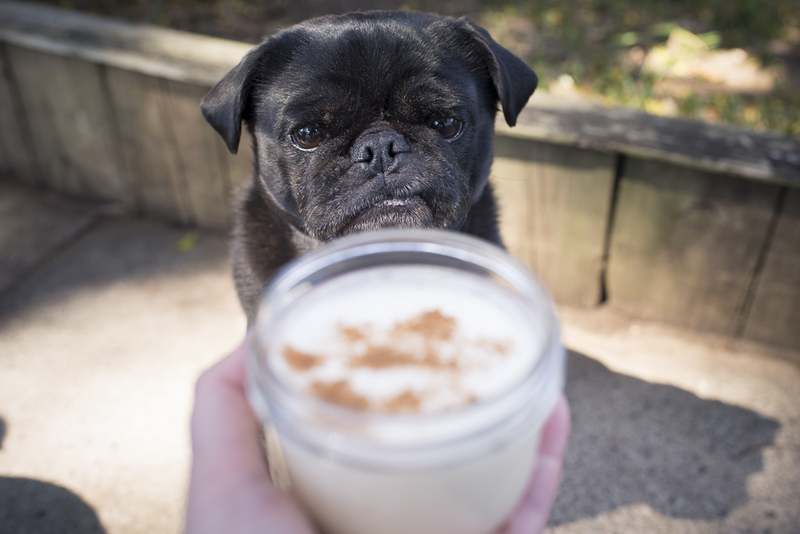 All of the ingredients in this Pina Colada Smoothie is human grade and dog friendly which is why you can share it with your pug. 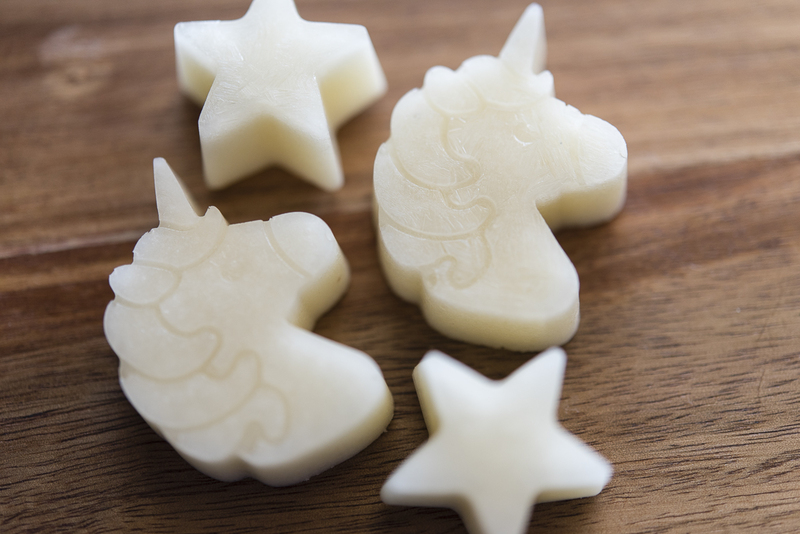 If you are wondering what ingredients we use and why, keep reading. Goats Milk is the most consumed milk in the world, even more than cows milk. Why? Goats milk is much easier to digest. 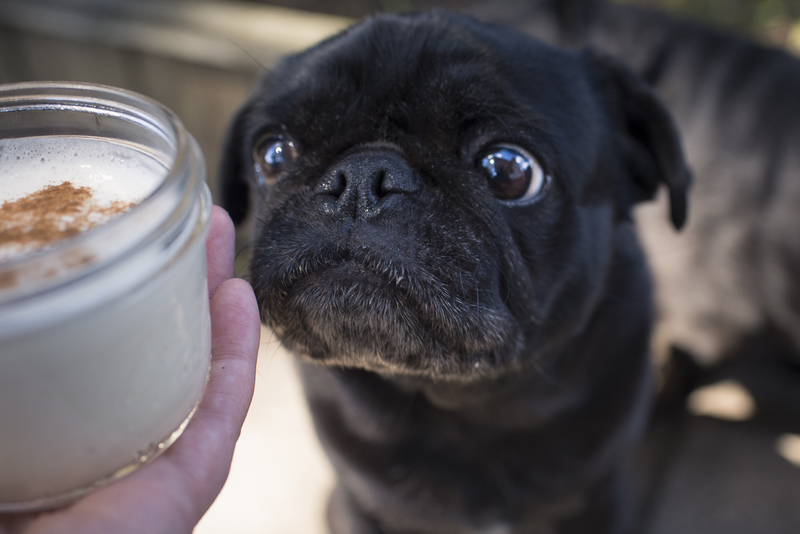 A lot of dogs cannot consume cows milk so goats milk is the perfect alternative. 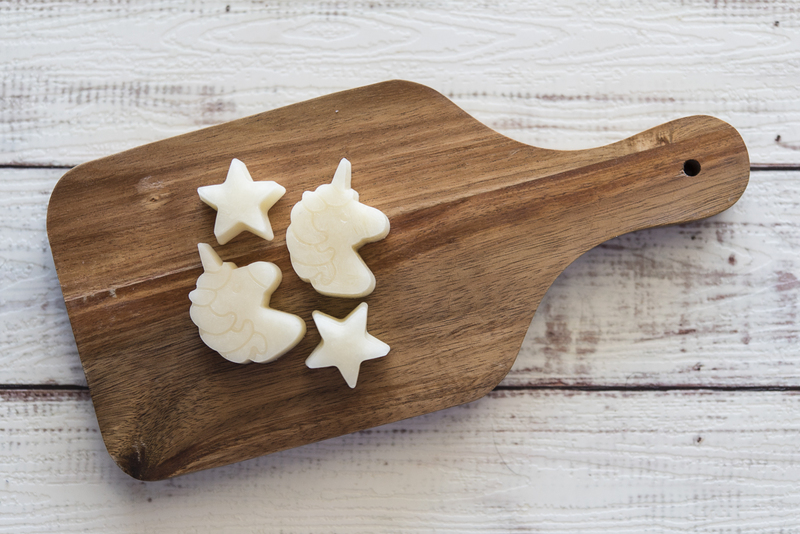 If you have access to raw goats milk, even better as raw goats milk has great probiotic benefits. However store bought goats milk will do the job too. Bananas are a great source of potassium, magnesium, vitamin C, vitamin B6, fiber, biotin, and copper along with having prebiotic properties that help feed probiotics. Freezing the banana helps to thicken the smoothie along with a little bit of ice. Pineapple, in moderation, can prove to have benefits for your pug including aiding in having better digestion, packed full of nutrients like vitamin C, thiamin, riboflavin, niacin, vitamin B6, and folate as well as minerals such as manganese, copper, potassium, magnesium, iron, and small amounts of calcium, phosphorous, and zinc. However, you should only ever feed small amounts of fresh pineapple due to the high sugar content. Canned pineapple shouldn’t be fed due to the syrups they sit in adding more unwanted sugar. Coconut water is used for added flavour and to help make the smoothie go further. Coconut water should contain no additives so be sure to check the ingredients list when choosing the coconut water. Alternatively, putting a can of coconut milk in the fridge will separate to give you coconut cream and water. Use the coconut cream to make some icing for pupakes and use the coconut water for the smoothie. Cinnamon is great for dogs. 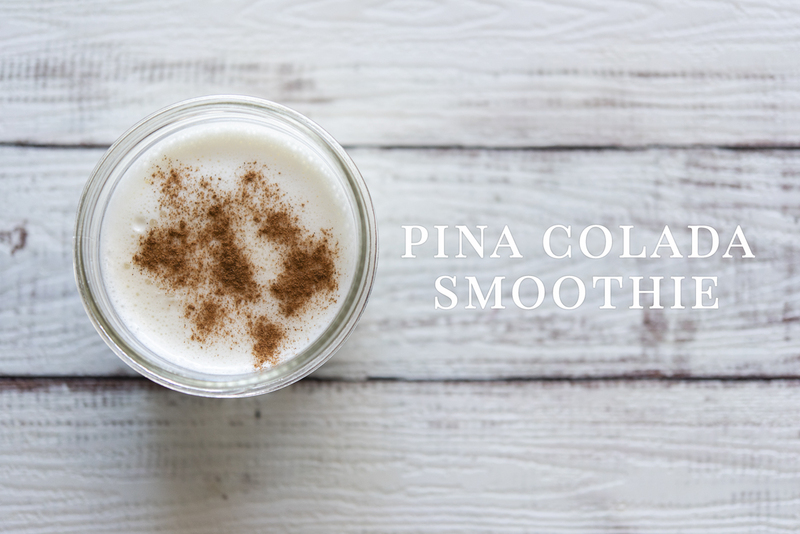 Not only does it add some extra flavour to this smoothie, it has some great benefits. Cinnamon has been known to regulate blood sugar levels and raise insulin resistance. 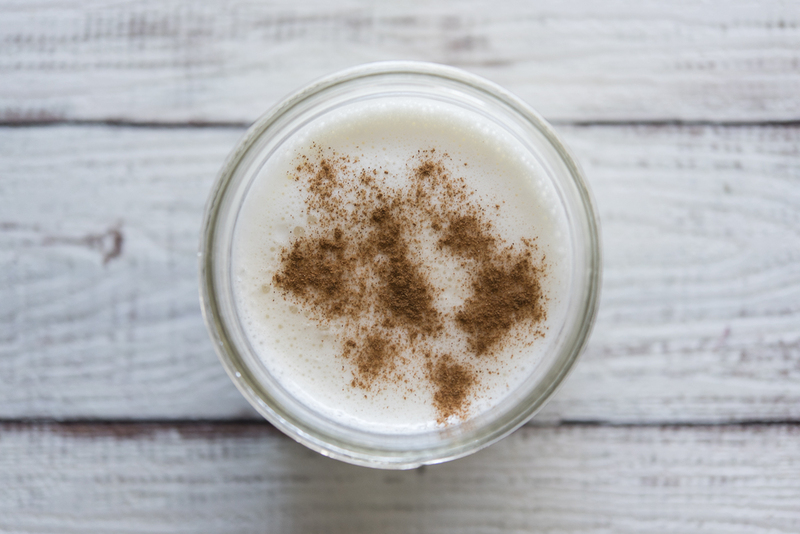 Cinnamon is filled with antioxidants as well as having anti-inflammatory & cancer fighting properties. 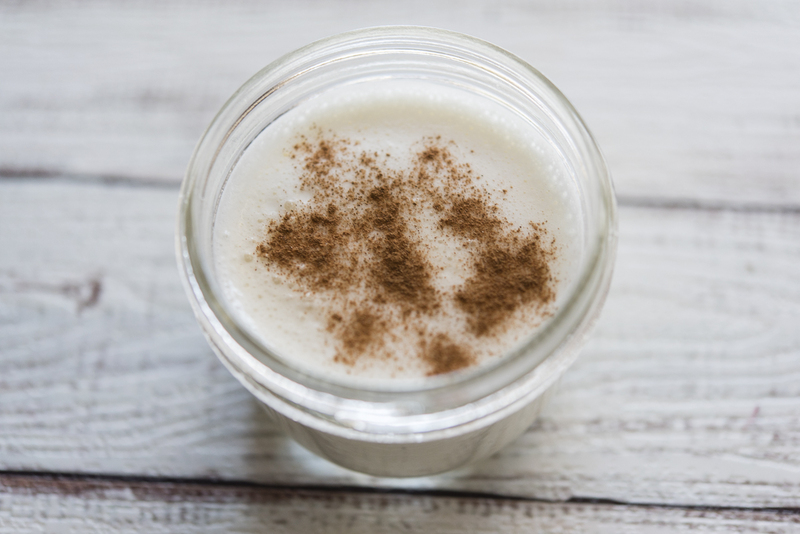 Cinnamon can be easily left out of this recipe if you prefer not to include it. Otherwise, a little sprinkle on top is all that is needed. 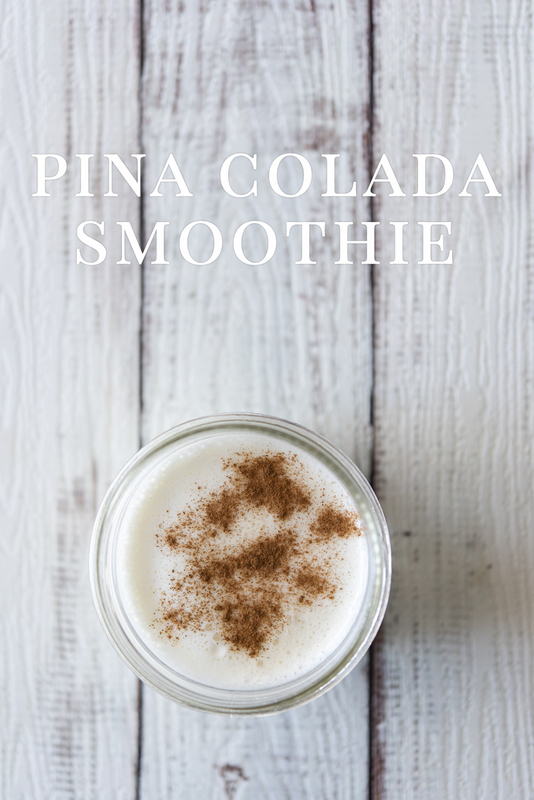 Once you have made this delicious Pina Colada Smoothie, be sure to pop back and tell us what you think of this recipe. We would love to hear what you think. Leave a comment below or post about it on Instagram or Facebook. Enjoy!